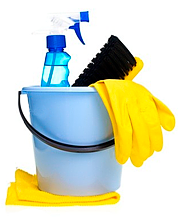 Keeping a large house clean and safe requires a lot of efforts for householders. Nowadays everyone is so busy, that there is almost no time left for household chores. At the same time we all want to live in tidy and fresh house where dirt doesn’t collect and mirrors are always clean. It requires a hard daily work on cleaning your sinks, mirrors, floors, windows washing, carpet cleaning and many more boring and exhausting household chores. Fortunately, there is a solution, which will help you forget about time-consuming household chores and enjoy clean and tidy house every day. If you want to live in tidy and well-kept house, it’ll be wise to entrust the household chores to Crystal House Cleaning Company. We work in the cleaning field for many years, and exactly in Washington Area we are able to provide you with quality housekeeping services. Housekeeping becomes really easy with Crystal Cleaning, because the team of professional cleaners that we have work efficiently on washing and cleaning your house, equipped with the best knowledge and technics to fight dirt, dust and unpleasant smells. Those people are hardworking and friendly, focused on achieving the best result in the shortest time. Our specialists are visiting your house in any period of time, comfortable for you and convenient for housekeeping. They can keep your house clean and safe, coming weekly, bi-weekly or monthly, always doing thorough washing and tidying up. There is no better way to keep your house than with Crystal Housekeeping Services! We care about our customer’s satisfaction the most, making expectations met every time. 100% satisfaction is guaranteed, and we will do everything to help you keep your house cozy and comfortable, cleaning and washing it from the top to the bottom.